Address Shanti path, Tilak Nagar , Jaipur. Distance From Monument 5 km from main city of Jaipur. Extra It has 3 domes each representing a religion originating in India. 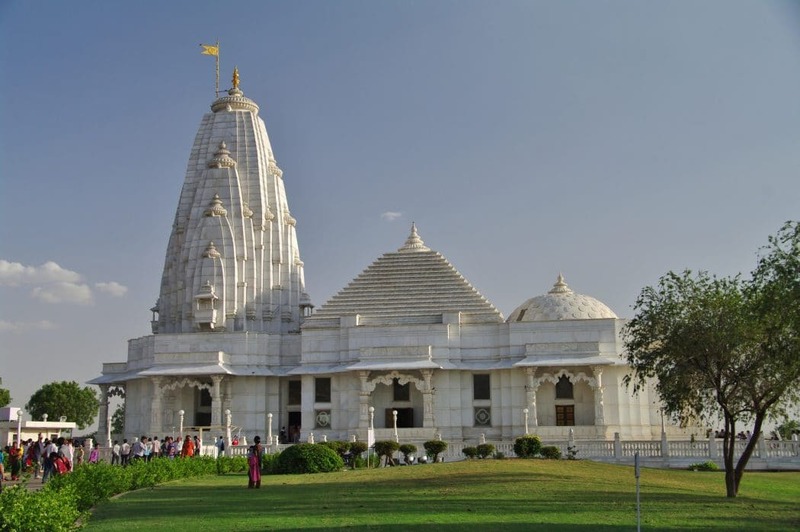 Facts The temple is located at an elevated foothills of Moti Dungari Hills. People Love For Place The beautiful wall carvings and pleasant atmosphere. Ticket Price Rs. 150 per person. Time Of Puja Morning and evening aartis are performed. Tips Avoid rush hours and take care of your belongings. Address Shri Galta Peetham, Galvanized Ashrama, Jaipur, Rajasthan. Average Time To Spend On average 1-2 hours. Distance From Monument 10km to East of Jaipur. Extra Consisting of Various temples and water kunds. Facts A pink stone structure between two hills. Opening Hours From Morning 5 am to Evening 9 pm. People Love For Place The temple is loacted in the lap of nature. Time Of Puja No specific timeof the day. Tips Be aware of Monkeys. 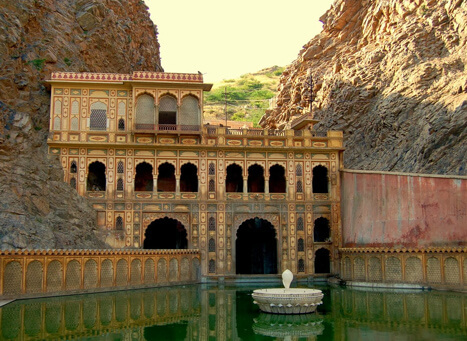 Address near Jaigarh and Nahargarh fort , Jaipur. Extra Ganesh chaturthi is the best time to be here. Facts Temple dedicated to lord Ganesha. People Love For Place View of Jaipur city from the hill top is breathtaking. Time Of Puja Afternoon and in the evening aartis are performed. Tips Evenings are the best time to visit. Address Jai Niwas Garden,Jalebi Chowk,Gangori Bazaar,J.D.A market, Brahampuri,Jaipur. Average Time To Spend 1 hr on average, however depends on your liking. Distance From Monument 5 km from Merta road junction. Extra Mangala Aarti is witnnesed by over 5000 people everyday. Facts There are 7 aartis in a day. People Love For Place Listening beautiful Bhajans and a troll in a garden. Time Of Puja First Aarti at 4:30am and last at 8:15pm. Tips Hire a local guide as there are many temples inside the surrounding . Address Behind Amer Fort,Char Darwaja,Brahampuri,Japiur (302002). Average Time To Spend On average 30-40min. Distance From Monument 8 km from Jaipur city. 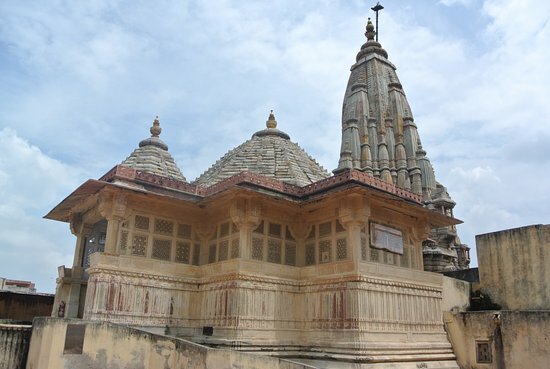 Extra Temple dedicated to Lord Krishna and Meera bai. Facts Oldest temple of Amber town and a specimen of 17th century architecture. Opening Hours Morning: 6am-1pm Evening:4pm-8pm. People Love For Place People love the beautiful architecture and peaceful atmosphere here. Time Of Puja Mangala,Shringar,Raj Bhoga aartis are performed. Tips Carry your cameras to capture the architectural marvel. Address Badi Chaupar Tulsi Marg, Jaipur. Average Time To Spend On average 15-30min. Distance From Monument 12 km from Jaipur National Highway. Extra 10th Avatar is yet to be born on the face of the earth. Facts Dedicated to 10th Avatar to Lord Vishnu. People Love For Place Beautiful architecture and sculptures. Time Of Puja No specific time of the day. Tips Read Dashavatar story to get its historical relevance. Address Moti Doongri Road, Tilak Nagar , Jaipur. Distance From Monument In the heart to Jaipur city. Extra Experience the Bhajans and keertans on special appearance of idol. 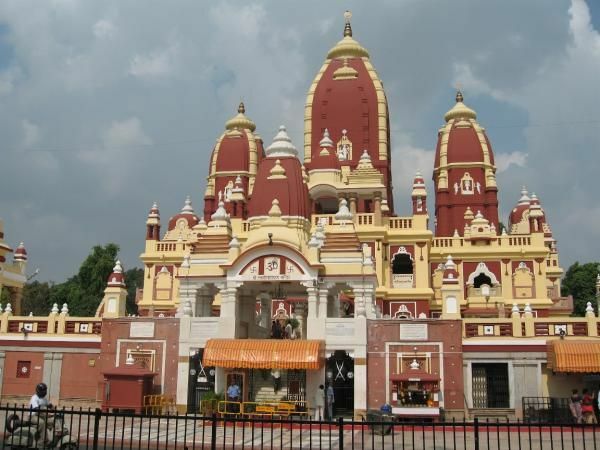 Facts The temple is dedicated to Lord Ganesha. People Love For Place The temple has pleasant atmosphere and scenic view. Time Of Puja afternoon and evening aartis are performed here. Tips Visit on Wednesday's to experience the weekly fair.